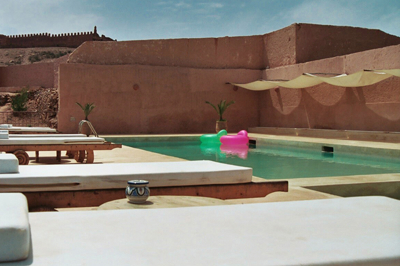 Les 3 Chameaux - Luxury Riad in Morocco. 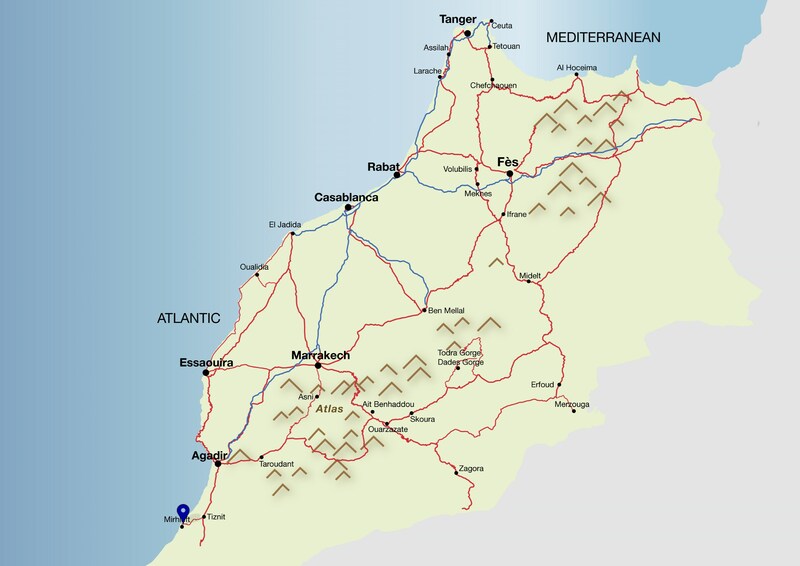 Book Les 3 Chameaux Today with Hip Morocco - Holiday Accommodation in Mirleft, Morocco. 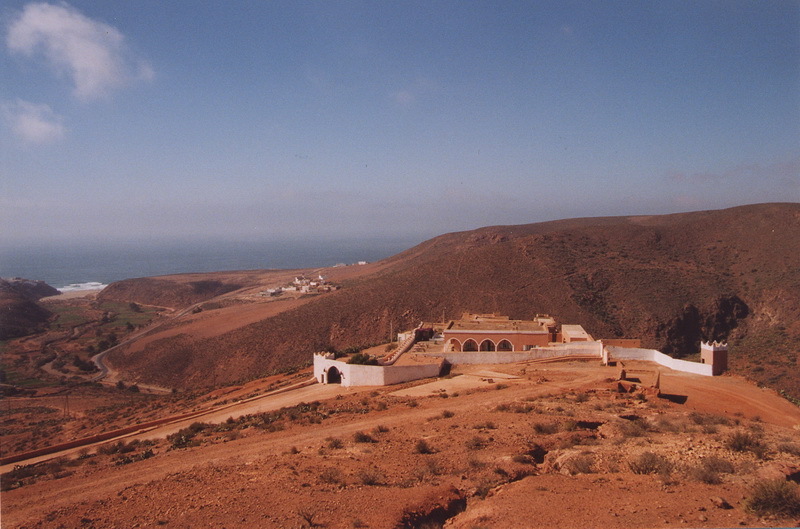 "An exclusive ancient military fort, constructed 70 years ago overlooking Mirleft and the Atlantic beyond"
Mirleft: On the site of an ancient military fort, constructed 70 years ago on the heights of the village of Mirleft, 140 km from Agadir, the guest house Riad 3 Chameaux welcomes you to Morocco. Room prices at HALF BOARD. 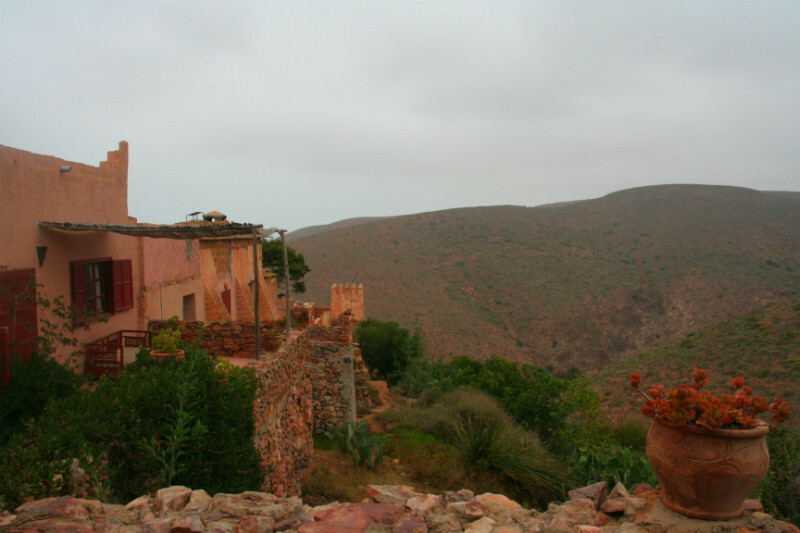 Several buildings of the "caidat" were renovated, preserving the authenticity of the original architecture. 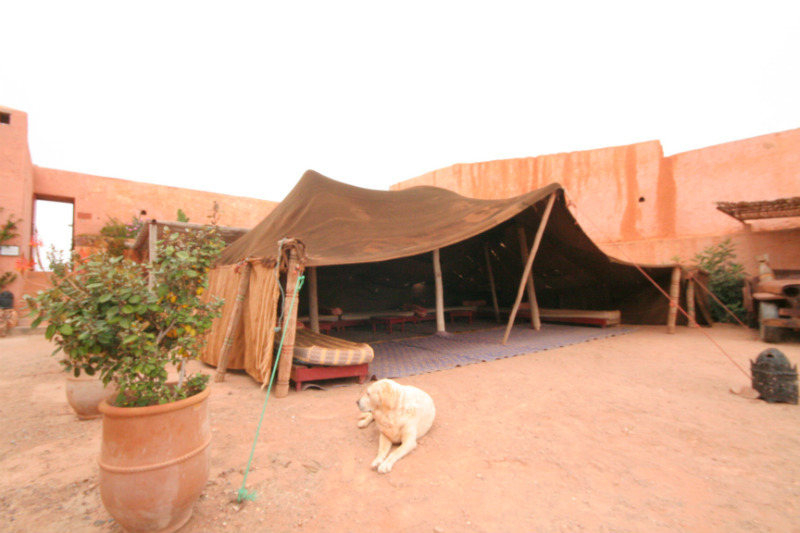 There are 12 suites and 8 Berber rooms. 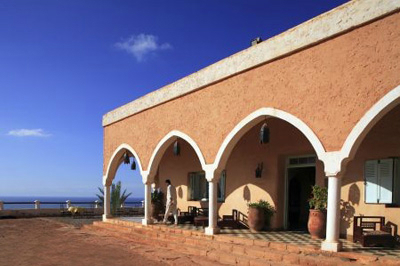 With magnificent views of the sea or the countryside, this spot is a worthy stopover for those who want to discover true Berber authenticity on your stay in Morocco. 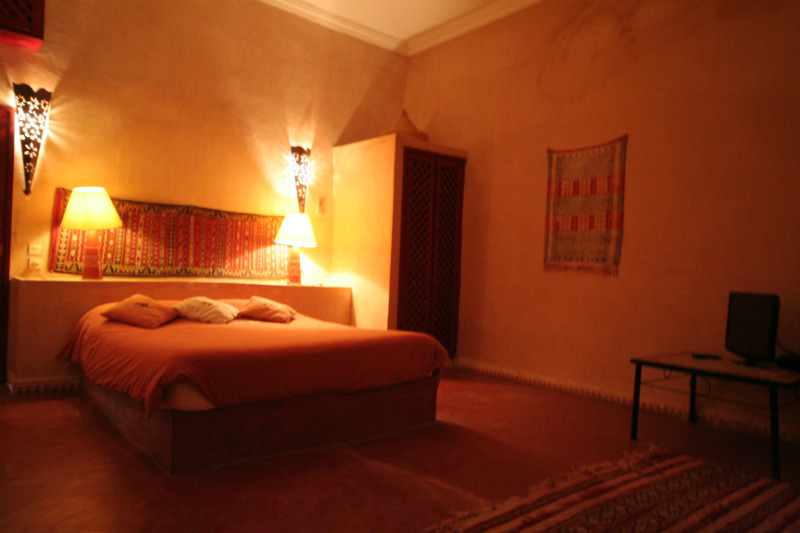 The renovations were kept in the spirit of Moroccan traditions by local craftsmen. 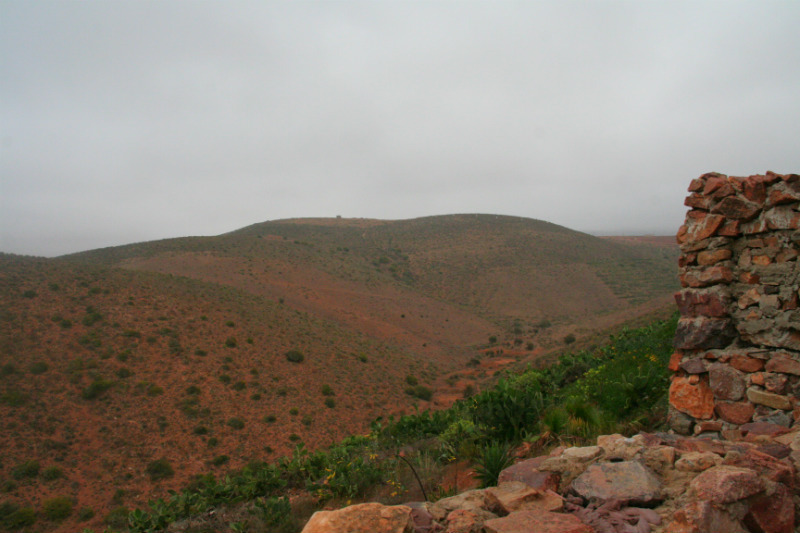 Les 3 Chameaux offer various sporting activities - surfing, fishing, and walking, and invite you to discover the region and its Berber inhabitants. 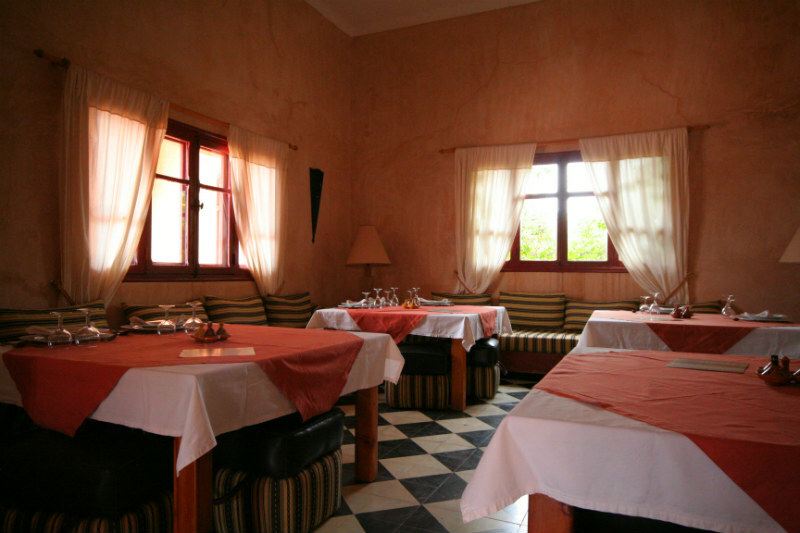 The prices we have quoted are for HALF BOARD, since realistically there is no where else to eat when staying at Les Trois Chameaux. As a guide you are paying €19 for dinner (fantastic 3 course meal including fresh salads and always catch of the day fish). 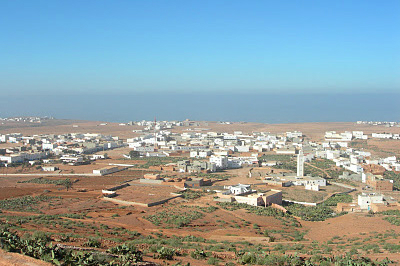 "Certainly one of the best place ever for a nice break away .... by yourself, with your family or even a group a friends. 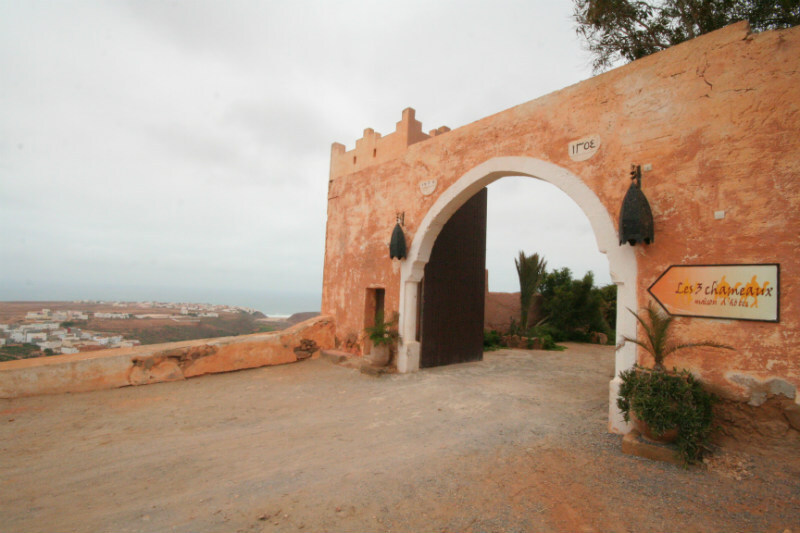 Less than two hours nice drive from Agadir Airport, The place, far from too busy tourisitic place, the guest house is a superb old french fort with a nice recent renovation who brang the modernity and keept the authenticty of the place. The bedroom are all very nice, confortable and very well decorated (I visited nearly all of them as I was there for a wedding!) 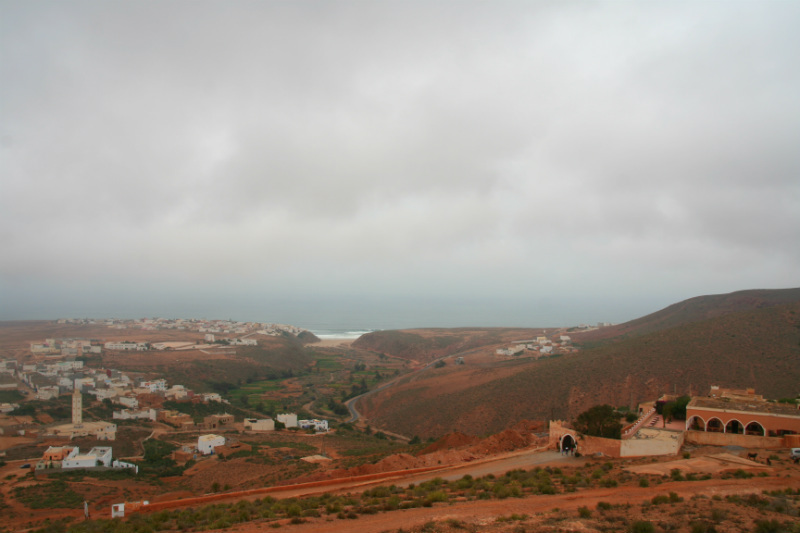 Some have private garden, others private terrace... Amazing view on the village, small mountain & ocean (the village is only 10/15mn walk and the beautiful beach is only 20/30mn nice walk) You have a nice swimming pool. The food is nice & organic. The staff are discret, nice & efficient. Definitely a place highly recommended !" 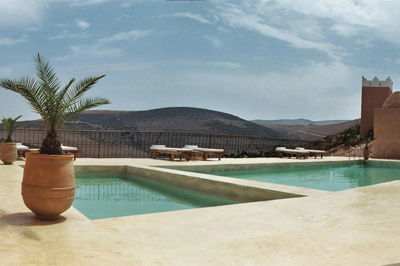 "The views are fantastic, the heated pool is very clean, refreshing and great for relaxing. The cuisine is top-notch...I was particularly impressed by the immaculate tanks in the kitchen where the seafood is humanely raised. The fish and crab were great. Jean Francois and his staff are incredibly personable and relaxed...very welcoming, indeed. Cannot recommend highly enough. Very accommodating for small children as well"
"We stayed here in February with a small walking/cultural tour group, at the end of our trip. It was the only place we stayed with a heated swimming pool (very enjoyable), and a man came to light the fire in our room every evening, which we managed to keep going all night. Some people complained about the smokiness, but we loved it. 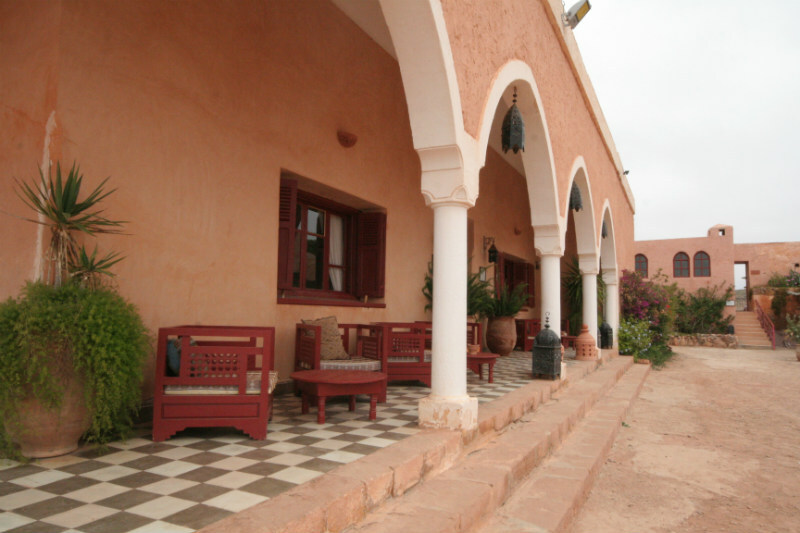 The food and wine were excellent"
The largest rooms at Les Trois Chameaux, the double suites are very spacious with low intimate lighting and collection of beautiful locally sourced Berber artwork. These suites at Les Trois Chameaux each have a private balcony with simply stunning views over the surrounding mountainous countryside. 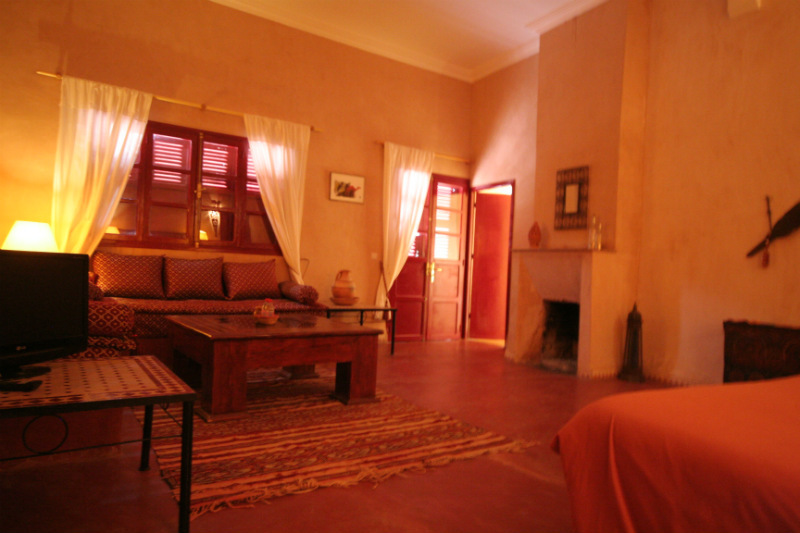 The suites in this Riad in Mirleft have a large inroom salon with traditional low benched sofas and large Moroccan table. 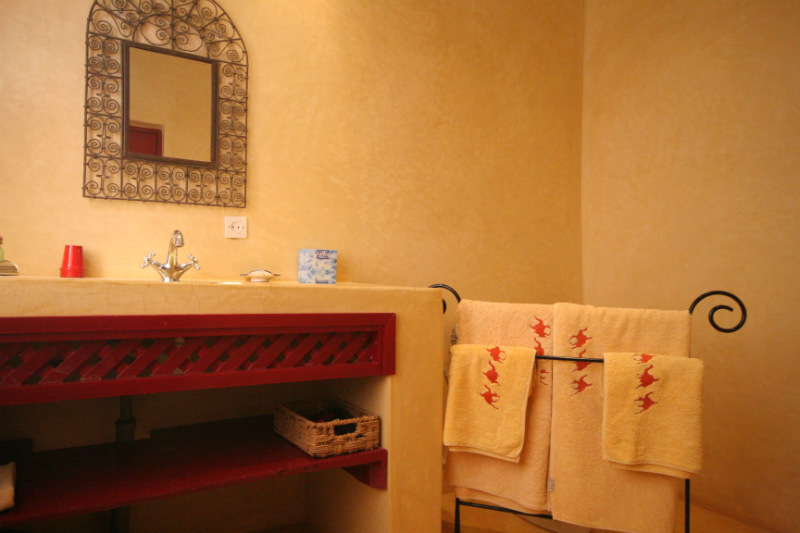 The spacious bathroom has a walk in shower crafted out of the traditional Moroccan building material or tadelakt. The double rooms at Les Trois Chameaux have been crafted out of tadelakt throughout, regulating the temperature naturally throughout the year. 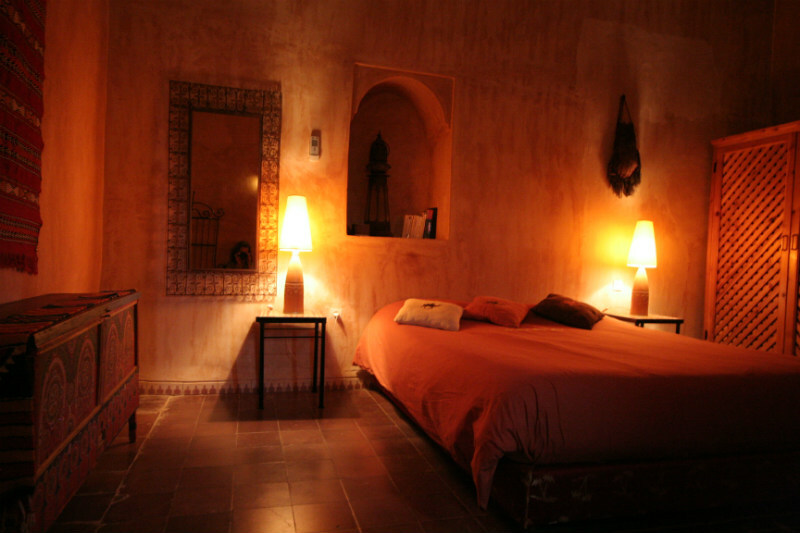 These rooms have low intimate lighting creating a sensual romantic atmosphere, well suited for an intimate holiday in Morocco. 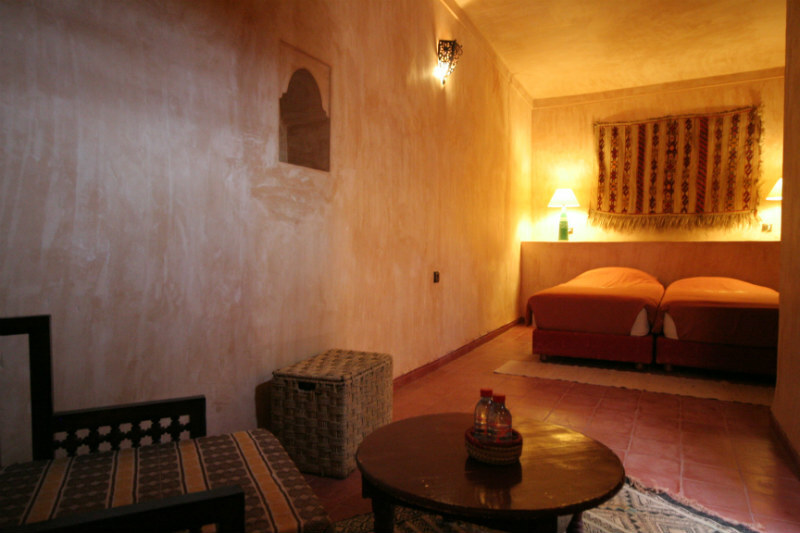 Each of the 7 charming Twin rooms are mostly located around a courtyard. 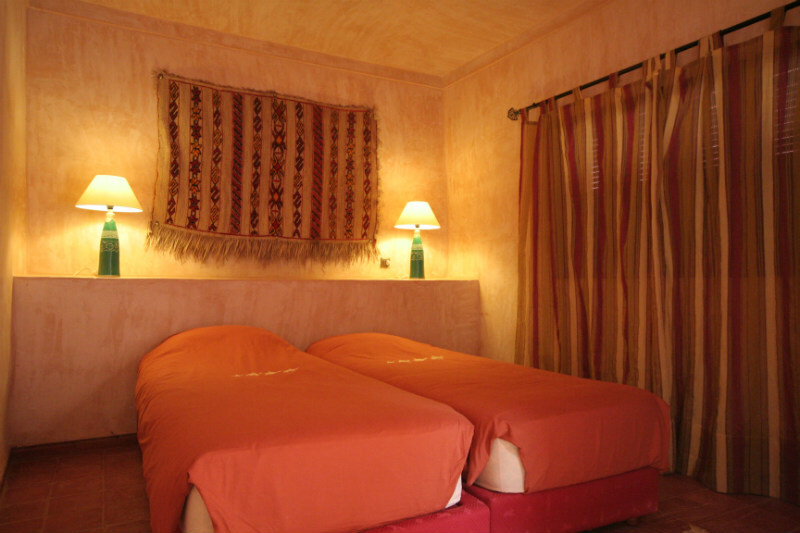 They have superior large twin beds and an ensuite bathroom with large walk in shower. 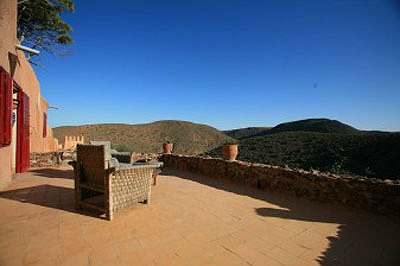 The base rate price at Les 3 Chameaux is in pounds, euros, or Moroccan dirhams and exchange rates are approximate.